Formerly known as TIPREX, launched in 2006, the trade fair has been rebranded to T-PLAS to signify its relevance to the robust growth and developments in the plastics sector, enhance the regional focus and international outlook of the event, and to highlight a unified business platform for the plastics and rubber industries. 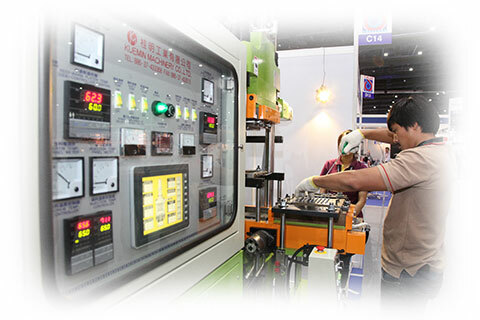 Strategically positioned in Southeast Asia’s largest plastics processing industry, the trade fair enhances its regional focus and provides an international outlook of the abundant strategic opportunities available for participating companies to springboard their foothold into the regional plastics and rubber markets. The International Trade Fair for the Plastics and Rubber Industries, T-PLAS, will present a comprehensive range of solutions from the latest machinery and equipment, semi-finished products, raw materials, technical parts and reinforced plastics, to a full suite of services for the two industries. T-PLAS 2019 is the region’s dedicated platform to tap into the vibrant marketplace of Thailand. Driven by demand in the vigorous domestic economy, it continues to strengthen its role as a leading global hub of plastics manufacturing with a greater emphasis placed on value-added and technologically advanced products. Running in parallel with T-PLAS 2019 is PACK PRINT INTERNATIONAL 2019, the 7th International Packaging and Printing Exhibition for Asia. The strategic pairing will sharpen the profile and enhance the relevancy of the two independent trade fairs.